WP Apprentice is an online training portal specializing in WordPress lessons and tutorials. Our courses are geared towards non-techie business users who need to learn WordPress quickly. All sorts of people. Some of our customers are looking to add WordPress skills to their resume, while others are hobbyists building a website in support of their particular area of interest. Many of our customers are business users who’ve been assigned the responsibility of maintaining a company website built on WordPress. 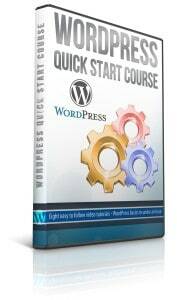 WordPress Quick Start: This free course covers the basics. This will get you up and running in about an hour. WordPress Essentials: This comprehensive course covers all of the core WordPress functionality. WordPress Website Blueprint: A step-by-step guide to building a business website with WordPress. The WordPress Essentials course is included in this training bundle. WordPress Business Blueprint & eCommerce Bundle: For business owners who want to sell directly from their websites. This course bundle combines the Website Blueprint course with our eCommerce training — the WordPress eCommerce Quick Start and WooCommerce Essentials, making this an ideal entry point to the world of eCommerce and online sales. What’s the difference between WordPress Essentials and the Website Blueprint? WordPress Essentials teaches you how to use WordPress. The Blueprint walks you through the process of building a business website with WordPress. One insight we’ve had in talking with our customers is that knowing how to use WordPress is not the same as knowing how to build a real website with WordPress. Out of the box, WordPress tends to be oriented towards blogs. The Blueprint addresses that by providing the guidance, you need to turn your WordPress knowledge into a highly functional business website. Please note, the Blueprint course includes the full content of the WordPress Essentials course. Do you offer training for the Gutenberg editor? Yes, we include the two-hour Gutenberg Essentials course as a free bonus with every course we offer. We also maintain lessons on the Classic Editor for WordPress users who aren’t ready to make the leap to Gutenberg. Are all of your courses video based? Yes, although the Blueprint course includes some downloadable worksheets for use in planning your website. Where can I see a list of all of the lessons in each course? Here’s a list of every WordPress tutorial included in the WP Essentials course. And here’s the full Website Blueprint training index. Absolutely. Sign up for the free WordPress Quick Start course and you’ll have immediate access to ten of our most popular videos from the WordPress Essentials course. After you purchase a course, you’ll receive an email with your username, password, and login instructions. Use that information to log in to our site at your convenience and view the video lessons at any time of the day or night. How many times can I watch the lessons? There’s no limit. When you buy a WP Apprentice course that includes lifetime access you can watch the videos as many times as you like. As the courses are updated, members have access to the latest videos as they become available. There’s nothing else to buy. If I buy WP Essentials can I upgrade to the Website Blueprint course later? Yes, and to make it easier you’ll get a member discount to compensate you for your original purchase (that’s because the Blueprint includes the full content of the Essentials course and you shouldn’t have to pay for the same course twice). Yes, both WordPress Essentials and the Website Blueprint include forums exclusively for members. The forums are a place where you can ask questions and get answers from our WordPress expert. Of course. If you aren’t satisfied for any reason, just ask for a refund within 30 days of your purchase. We’ll be happy to refund the full purchase price, no questions asked. Yes. We use industry-standard encryption to protect your personal information. Your payment data is never stored on our servers. If you pay by credit card, your transaction is processed by Stripe — a secure payment processing service. If you pay by PayPal, your order is processed through PayPal’s secure servers. I usually don’t purchase tutorials and such from the net, but have absolutely no regret in doing so with yours. I was IT allergic when I started, and with the videos that were so clear and yet explained so much in details, I became – almost – tech savvy! Contact us, we're here to help you learn WordPress!